Amsterdam is known for museums, nightlife, parks, breweries & distilleries, and shopping. 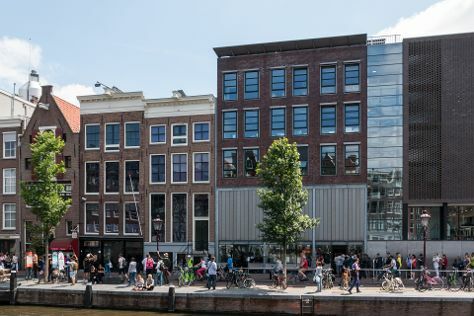 Your plan includes some of its best attractions: take an in-depth tour of Anne Frank House, steep yourself in history at Museum Het Rembrandthuis (Rembrandt House), get curious at NEMO Science Museum, and take a stroll through Red Light District. To find reviews, maps, more things to do, and more tourist information, use the Amsterdam itinerary maker website . If you are flying in from United Kingdom, the closest major airports are Amsterdam Airport Schiphol, Eindhoven Airport and Eelde Airport. In February, plan for daily highs up to 7°C, and evening lows to 0°C. Finish up your sightseeing early on the 27th (Wed) so you can travel back home.